Congratulations! You win 42 bonus points with this purchase! I've worn various different types of contact lens for forty-five years and these are the best to date. The product is generally good, although sometimes one or two of them can be uncomfortable to wear (they'll have to be replaced). As a contact lens wearer I find these good. Used these before from another supplier so know the lenses ok. I use mainly for playing golf (improved my game over my normal glasses) and for watching my local football team. Good product and great communication. Used for many years and are always comfortable for long wear times! Well priced too! Very fortunate that air optix contact lenses are available to me for prescription. Very comfortable and and keep my eyes healthy and oxygenated which was problem I had with previous brands. 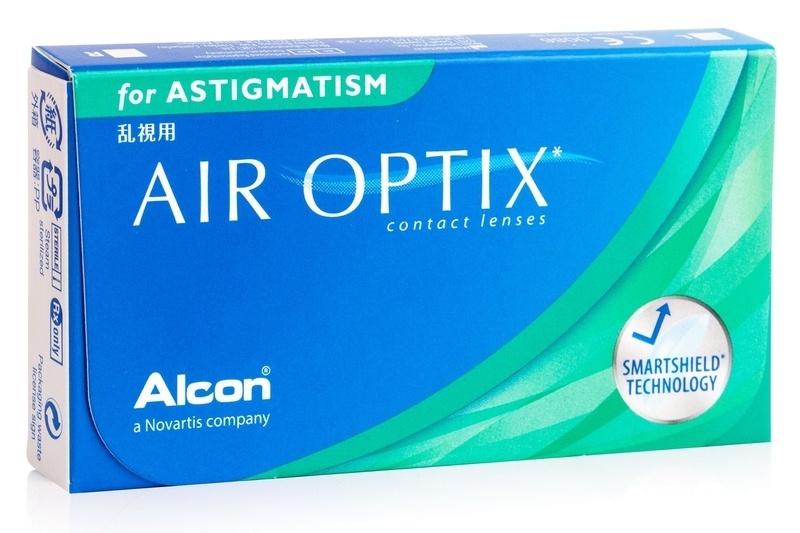 Air Optix for Astigmatism from Alcon, are monthly toric silicone-hydrogel contact lenses. Their excellent breathability makes them one of the healthiest astigmatism contact lenses on the market and offers comfort throughout the whole day. Customers who bought these lenses also bought ReNu MultiPlus 360 ml with case. Hi, can you do these in blue? We are a retailer and we do not produce these lenses. However, as far as I know, Alcon does not produce coloured toric lenses. If you want to wear coloured contact lenses, please ask your optician, he or she might have a suggestion for you. I hope my reply helped. Happy to remain at your service.